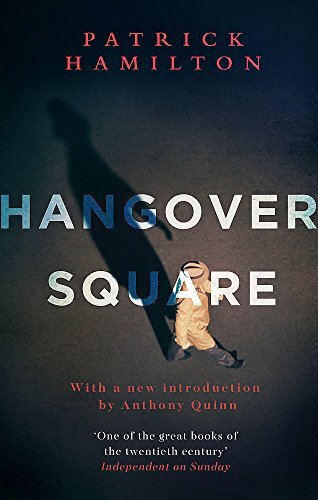 A pitch-black comedy set in London overshadowed by the looming threat of the Second World War, Patrick Hamilton's Hangover Square includes an introduction by J.B. Priestley in Penguin Modern Classics. London, 1939, and in the grimy publands of Earls Court, George Harvey Bone is pursuing a helpless infatuation. Netta is cool, contemptuous and hopelessly desirable to George. George is adrift in a drunken hell, except in his 'dead' moments, when something goes click in his head and he realizes, without a doubt, that he must kill her. 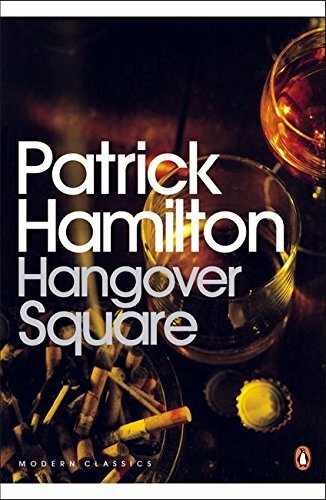 In the darkly comic Hangover Square Patrick Hamilton brilliantly evokes a seedy, fog-bound world of saloon bars, lodging houses and boozing philosophers, immortalising the slang and conversational tone of a whole generation and capturing the premonitions of doom that pervaded London life in the months before the war. Patrick Hamilton (1904-1962) was one of the most gifted and admired writers of his generation. His plays include the thrillers Rope (1929), on which Alfred Hitchcock's film of the same name was based, and Gas Light (1939), twice successfully adapted for the screen, the second time starring Ingrid Bergman. Among his novels are The Midnight Bell (1929); The Siege of Pleasure (1932); The Plains of Cement (1934); a trilogy entitled Twenty Thousand Streets Under the Sky (1935), adapted into a BBC mini-series in 2007; Hangover Square (1941); and The West Pier (1951), Mr Stimpson and Mr Gorse (1953) and Unknown Assailant (1955), which together comprise The Gorse Trilogy. If you enjoyed Hangover Square, you might like Norman Collins's London Belongs to Me, also available in Penguin Modern Classics. Patrick Hamilton was one of the most gifted and admired writers of his generation. Born in Hassocks, Sussex, in 1904, he and his parents moved a short while later to Hove, where he spent his early years. He published his first novel, Craven House, in 1926 and within a few years had established a wide readership for himself. Despite personal setbacks and an increasing problem with drink, he was able to write some of his best work. His plays include the thrillers Rope (1929), on which Alfred Hitchcock's film of the same name was based, and Gas Light (1939), also successfully adapted for the screen (1939), and a historical drama, The Duke in Darkness (1943). Among his novels are The Midnight Bell (1929); The Siege of Pleasure (1932); The Plains of Cement (1934); a trilogy entitled Twenty Thousand Streets Under the Sky (1935); Hangover Square (1941); The Slaves of Solitude (1947); and The West Pier (1951), Mr Stimpson and Mr Gorse (1953) and Unknown Assailant (1955), which together comprise The Gorse Trilogy. J. B. Priestley described Patrick Hamilton as uniquely individual ... He is the novelist of innocence, appallingly vulnerable, and of malevolence, coming out of some mysterious darkness of evil.' Patrick Hamilton died in 1962.